Earth Day gives us an opportunity to appreciate how amazing planet earth is and how fortunate we are to be a part of it’s ecosystem. Today we are witnessing so many troubling environmental and climate change issues. Are humans are the real threat to life on earth? Are we the only species that destroys it’s own environment? Some predict that humans will be extinct in 100 years. . . . .WAKE UP CALL! One of my favourite books on the environment is Silent Spring. When Rachel Carson wrote this book in 1962, she was a human ahead of her time. The book was an instant best seller and is just as relevant today. Her predictions and fears for the future of the planet and our health were bang on. How could government and humans have allowed this destruction to happen? I love perusing used book stores for old copies of all of her books. (If you are anxious to get your hands on them, Amazon has them too). I hope you have the opportunity to connect with nature today. If we respect our ‘Mother’ Nature, she will sustain us! Happy Earth Day 2019 and may there be many more to celebrate! Fill in the Blanks. . . .
Now you can personalize our awesome, Canadian Made, Organic Cotton T’s and Totes with your very own message! We’ve added a few ideas to our website but always love to see what you come up with. Shock value and pushing the limits of what is “appropriate” seem to be all the rage these days. It certainly seems to be paying off for some, but here at Wear Your Wisdom we prefer to believe that Kindness is always in style and that Kindness is style. The world is a better and more civilized place when we all aspire to be the best we can be and encourage others to do the same. Spread kindness and positivity through your own personal message on the front, or back, of our ethically made, Organic Cotton T Shirts and Tote Bags . They are good for you, and the planet. We will also happily print your message on the back of our already logo’d Ts and Totes, which by the way, are on sale! T shirts are a great way for like minded people to connect and make a statement. Have fun being creative and consider checking out a beach clean up near you this year. It’s a great way to pitch in to help clean up our oceans! 2018 has been an exciting year of enlightenment and growth on my journey to living a more sustainable lifestyle and encouraging others to do the same. Once we become aware, there is no going back! In November I attended a 2 day conference on Zero Waste, hosted by the city of Vancouver. The theme was ‘Transitioning to a Circular Economy’. It was inspiring to see so many people actively working in environmental sustainability and to learn about how they are using their creativity to try to solve the mess we humans have made of the environment. Vancouver hosts this conference every year, I highly recommend attending. Plastic pollution and climate change are two of the issues that interest me the most. I participated in three beach clean ups this year and attended several talks and films on Ocean Plastic Pollution, Living Zero Waste Lifestyle and Climate change. I just got back from a quick trip to Kauai where the micro plastic pollution on the beach shocked me beyond belief. At first I thought it was beach glass but on closer inspection I realized it was plastic, and there was lots of it all along the shoreline. Larger pieces of plastic, that likely came from Japan and other parts of Asia, littered the beach, as did debris from the fishing industry. Our local beaches in Vancouver are pristine in comparison. It will take a miracle to get this mess under control. Images of seabirds with bellies full of plastic danced in my head. We really need to curtail plastic our consumption and live more mindfully. It’s time to slow down. Sure, it is a little more work but convenience comes at a cost and planet earth is paying dearly. In the fall I started a Green Group modeled after ‘Book Club’. Instead of reading books, 10 of us meet once a month to watch documentaries on the environment, discuss the film and share sustainability tips. We’ve seen: The True Cost, Before The Flood and Cowspiracy. More Than Honey, a film about the plight of bees, is next on the list. Every month we focus on a different issue. All have been very educational, inspiring and motivating. Nothing got me more fired up than Cowspiracy. There is so much talk about reducing our carbon footprint by driving less, using less energy etc… all of these are good ideas but the results are minimal. No one talks about the number one most impactful thing we can do to slow climate change and that is to MOVE TO A PLANT BASED DIET. Animal agriculture, particularly beef and dairy are the main contributors to climate change by a significant amount. Buying organic and consuming less animal protein, especially mass produced beef, is the best lifestyle change anyone can make to reduce their carbon footprint. The Vegans are onto something after all! The highlight of my year has been to hear from friends and family, young and old, that they are choosing more sustainable options because of my influence. This is so rewarding and brings me so much joy. My hubby George has become my uber enthusiastic beach clean up buddy! 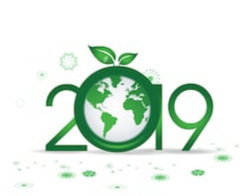 I look forward to learning more about sustainability and getting even more involved in 2019. Wishing you and yours a Healthy, Joyful, Sustainable New Year! Since 1921, the poppy has been worn and used to commemorate military personnel who have died in war. This symbol of Remembrance was inspired by the poem “In Flanders Fields” written by a Canadian physician of Scottish descent, Lieutenant-Colonel John McCrae. As a family it has always been a tradition for us to pay tribute, on November 11th, to the selfless men and women who have served their countries to fight for our freedom and the quality of life we enjoy today. The Poppy Factory was established in England in 1922 to give disabled veterans returning from the Great War a means of earning a living. It has evolved over the years into an organization that supports veterans with health challenges and disabilities transition into paid positions. When I was a child I remember poppies being made of paper. These days they are made of plastic and as far as I know are non recyclable. Here’s a sustainability tip you might consider implementing . . DEFINITELY continue to DONATE to the Poppy Fund in your community, in fact GIVE GENEROUSLY. . . .but KEEP YOUR POPPY from year to year. This will keep it out of the landfill. Remember, every little bit helps, all of our efforts add up. 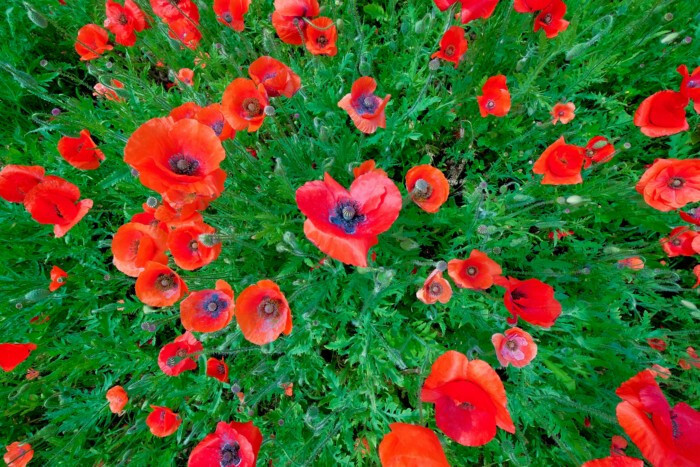 Here’s another sustainability tip to help you keep your poppy from year to year and prevent you from losing in the first place it so that you don’t have to replace it over and over again. Who hasn’t done that??? Trust me, I’ve been pinning my poppy on like this for years and really does work. Watch the video. I hope these tips contribute to a more mindful and sustainable Remembrance Day. Let's Beat Plastic Pollution. If you can't reuse it, refuse it! Here are a few simple ways we can all help eliminate plastics and reduce our carbon footprint by saying no to single use plastics and replacing them with reusable options. It takes a little extra effort at first but soon becomes a way of life. For me, saying no to plastic shopping bags was the easiest place to start. I carry bags in my vehicle and purse at all times. Next on my list is refusing plastic beverage bottles and disposable coffee cups. This is proving to be a little more challenging but "A journey of a thousand miles starts with a single step." The European Commission Proposes a ban on single use plastics. 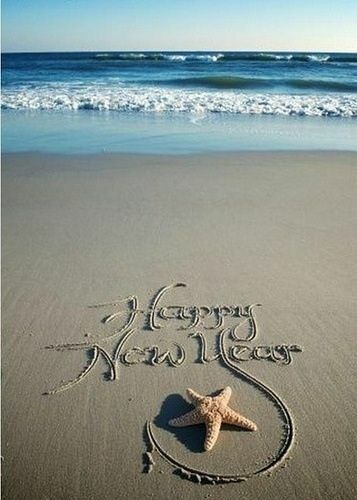 Many of us look forward to the start of a new year with hope and anticipation. We resolve to make changes, learn from our mistakes and do things better. In 2018 Wear Your Wisdom will focus on the environment, namely our oceans. The environment has always been a concern but now, more than ever I feel it desperately needs our support and attention. The way we take this this planet for granted is frightening. Where do we think we can go after we have destroyed planet Earth? What makes the most sense to me is that we take care of the home we have now. This is a big part of mindful living. Therefore, starting in 2018 we will contribute to the protection and conservation of our world’s oceans through Oceana. Sadly, the priority of capitalism is to make money, usually with little regard for the environment . . . it’s not as profitable! The human appetite for consumerism is insatiable and we live in a society that has come to expect convenience. This convenience comes at a price. One of the most obvious offenders is plastic. It is convenient and cheap but lasts for hundreds of years. Much of the plastic produced is used once and tossed away. Think of plastic beverage bottles, plastic bags, plastic cutlery. Obviously, not all plastic makes it to the recycling depot and we are fooling ourselves if we think that once recycled it magically disappears. Reducing is a start, but choosing alternatives that are biodegradable, reusable or completely recyclable like glass, stainless steel, paper and cloth will make the biggest impact. It takes a some effort, it is definitely not as convenient, but it will be so worth it in the long run. If we can resolve to be more mindful and inspire others to do the same, collectively we will make a difference. We have to start thinking of ourselves as stewards of planet earth for the sake of future generations. Next time I will share some simple lifestyle changes I have made that are more mindful of the environment. LET'S CELEBRATE BACK TO SCHOOL WITH A GIFT WITH PURCHASE!! Humans certainly have created some interesting environmental, social, and ethical problems! Students of all ages will be heading back to school this month hoping to encounter teachers who spark the light in them to find their passion. This should lead to some very creative problem solving! We all know a 'starving student' who could use a break, and if you are a student, T shirts and tote bags are pretty much a necessity. So, to help out, we are giving away a FREE Wear Your Wisdom Logo T shirt or Tote Bag with every plain T shirt purchased. Simply let us know what style and size you would like in the 'notes' section of your order form. Wear Your Wisdom means weigh the environmental, social and ethical implications when you make a purchase. When you wear a WYW T shirt, you have done just that and are in fact wearing your wisdom and encouraging others to do the same. Have a wonderful school year and we look forward to hearing all of your amazing ideas! It's that time of year again! Farmer's Markets are starting up again in a neighbourhood near you. This is a great opportunity to feed yourself and those you love fresh, healthy food from local farms. A trip to the Farmer's Market makes for an enjoyable and educational family outing. Have you ever wondered where all those plastic shopping bags go? There are plenty of photos on the internet that answer that question. Thank you for choosing to be a conscious consumer. It is in our collective best interest. 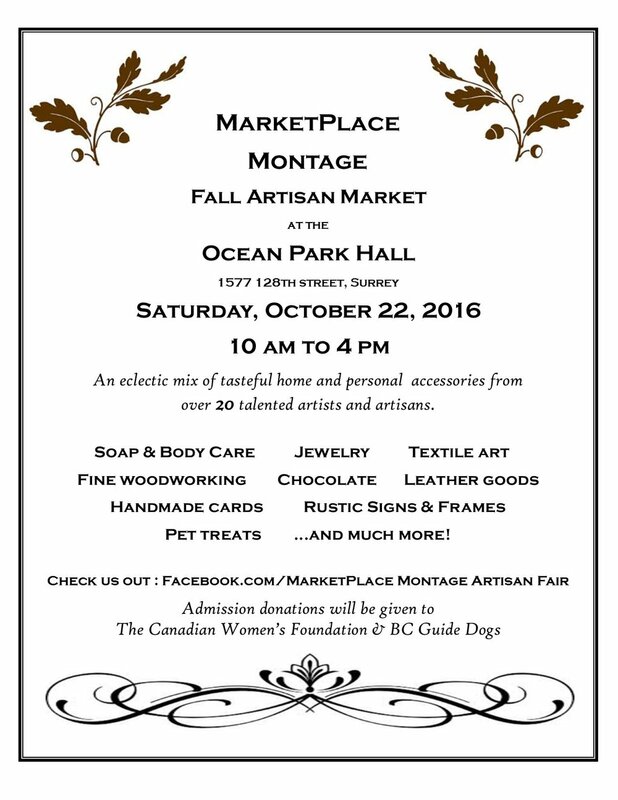 Our 3rd MarketPlace Artisan Fair took place on Saturday in our Ocean Park community hall. Once again we raised money for the Canadian Women's Foundation to help raise Canadian women and girls out of poverty and domestic violence. 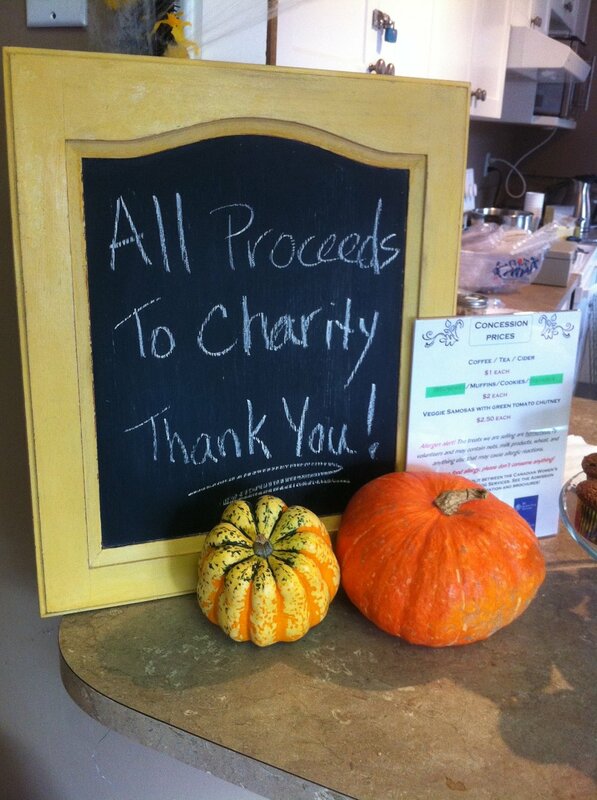 We are so grateful to our friends and family who volunteered to make this possible and to all of the generous support from our local community and talented artisans. This is a great casual everyday look as well as the perfect solution to traveling to and from your workout in style. An extra long T shirt, like our organic cotton unisex T, not only looks good when paired with boots, leggings, a cozy sweater, and scarf, it covers up your derrière! Run errands, before or after your workout, looking fabulous and put together! Remember, KINDNESS is always in style! There is no doubt about it, being a wife and working mom these days is tough gig. I am always interested to learn more about the women who appear to do it all and make it look easy. Turns out something's always got to give and we may not even realize it. If we focus too much one or two of these roles, the other(s) suffer. BALANCE is the key and that ideal balance will be unique to every individual. It is a mistake to compare your journey to that of anyone else. Stay focused on your own path and make the best choices for you and yours. No one can truly understand another person's life situation. Be sure to get enough sleep and to put yourself on the list. Giving from an empty reservoir doesn't serve anyone. Strive to attain balance in your life, you and those you love will reap the benefits. Let our Balance T shirt be a reminder to you and to others of this wisdom. Meet Robert Oichi. He is a global champion for women's economic empowerment working with Empower Women.org, an online community of women and men who share a passion for women's economic empowerment. Although Robert comes from a traditional, patriarchal, African background, he is speaking out against ignorant and fear-based beliefs he grew up with. Robert has chosen to champion change for women that includes equal rights and opportunities. This takes great courage (quoted from the article)...."in a society where Female Genital Mutilation (FGM) was celebrated. Despite the government criminalizing FGM, some communities still practice this cruel ritual in secret. In the same society, I observed that men who beat their wives are actually highly regarded by their kinsmen. This is a misinterpreted ideology emanating from the African traditional society, where a man had a right to chastise his wife, and she had a duty to obey and ‘apologize’. It is a society where parents do not mind ‘giving away’ their young daughters, usually minors, in marriage to much older men. Sometimes child marriage may be practiced to ‘get rid’ of the liability associated with raising children or simply to gain from the proceeds of the bride price. Other parents do not see the value of educating a girl child and would rather use the family resources on her brothers." In too many societies, the birth of a girl is not as valued as that of a boy and this is a global problem. He believes that MEN have the power to change society's oppression of women. There would be no greater display of power and strength than that. Yes, our lives are busy and hectic. We can easily get caught up in the momentum of living in this consumer driven world and lose track of what is truly important and precious. Nothing lasts forever in the universe. Here on earth nature is constantly trying to reproduce to ensure it's survival. Without nature, where would we be? Today, the biggest threat to nature is the collapse of the bee colonies, natures primary pollinators are vanishing. Louie Schwartzberg explains in his documentary that pollinators are the foundation of life and key to our survival as a species. If you can spare 20 minutes in your busy day, I highly recommend watching this TED Talks video on how important nature and a sustainable future is to our survival. It will feed your soul and open your heart. Louie Schwartzberg uses his passion for nature and film to remind us of what is truly important. We all need to do our part to live more mindfully and be conscious consumers. 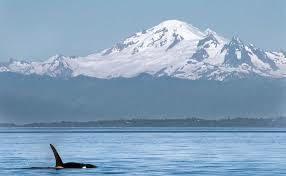 We are but stewards of this wonderful planet earth we call home. Nature is a force of good. Be The Good and commit to doing your part to create a sustainable world for future generations. International Women's day is a global day celebrating social, economic, cultural and political achievements of women. The day also marks a call to action for accelerating gender parity. Women have come along way and there is no telling how far they will go. Lack of money keeps women trapped and powerless, economic empowerment is key to equality. Young women these days have more opportunities than ever to dream big. In the words of Michelangelo "The greatest danger for most of us is not that our aim is too high and we miss it, but that it is too low and we reach it"
Lets encourage our girls to dream big and set challenging goals for themselves so they can live the life they choose. Welcome back from your holiday break. I hope you all enjoyed yourselves, spent quality time with friends and family, and are looking forward to 2016. Some of us may have indulged a little too much, in food, drink and shopping but boy was it fun! Is your philosophy on money "Play now and pay later" or "Pay now and play later'? This year our family tried something new. Rather than shopping for presents as we have traditionally done, we challenged one another to make gifts, buy used, or share experiences. I was so impressed with the ideas that the younger generation came up with. (By younger, I mean the twenty somethings). It was so much fun, far less stressful and we didn't blow our budgets as so many do at this time of year. Overspending really takes the fun out of giving when those credit card bills arrive in January. That is why I am starting the year off with a blog focused on finances. What a great time to commit to curbing our spending. Let's be honest, don't most of us have too much 'stuff' already? We may not make as much money as we'd like but we can all keep more of what we do make. Even those who make a lot of money can end up in debt as their lifestyle surpasses their income and savings. Beware of those little expenses that accumulate over time like the daily lattés and lunches out. I came across an interesting blog on The Daily Worth, a website whose goal is "to help all women see money not as a source of stress and anxiety, but as one of freedom and empowerment." Check out their recent blog Here are seven common ways people habitually mishandle money — and how to stop them. If you can get past the ads, the information is good, especially the part on credit card debt. As Suzie Orman says "Live within your means, not within your dreams." Let's start 2016 off on the right foot and stay on track all year! I think the Grinch is really on to something here! More and more of us are scaling back on unnecessary purchases. It is better for our stress levels, our pocketbooks and the environment! Conscious consumerism is the future! I am encouraged by others on the same wavelength and the increased awareness worldwide. You will be hearing a lot more about it in 2016 as the movement gains momentum. Consumers are wanting to know more about the items they purchase. Where, how and from what they are made. May you enjoy spending time with family and friends this holiday season. Dress up your Wear Your Wisdom T Shirt with the season's hot accessory...the Statement Necklace. Jeans and a T shirt are the go to outfit for everyone from college students to fashionistas, and for good reason. The simplicity of a classic white or black T shirt with a great pair of jeans makes it one of the most versitile and timeless outfits around. It allows you to go from casual to a night on the town with a quick and simple accessory change. This season's hot accessory is the statement necklace. Wear it casually or dressed to the nine's. Bring on the Holiday Season! Our basic women's T's have a flattering fit, are available in Black and White, are ethically made in Canada from organic cotton. We are striving to make a difference. I recently attended this free seminar to see what they had to say. I definitely agree that investing in real estate is a good idea. The presenter, Nicole D'Ambrosio, has been a contestant on The Apprentice with Donald Trump. Her presentation was very upbeat, inspiring and full of information. She covered a lot of ground in 1 1/2 hours. Of course Nicole was promoting their 3 day workshop which sounded a little too intense for me, but will appeal to some. You can certainly make a nice living as real estate investor if you are willing to work smart and work hard, but real estate can work for you on many different levels. The old formulas for a comfortable retirement are no longer working, it is wise to consider other strategies. Something like this is but one option.